Welcome all to my blog!! 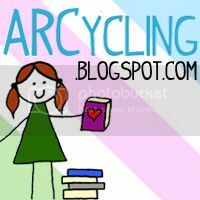 Let me start of by saying happy new year to everyone :-) Since this was a new year, I decided to start blogging about the books I'm reading and those I adore. I guess my love for reading began when I was in the 8th grade when I started reading "The Princess Diaries" by Meg Cabot. I read it during classes and at home. I was hooked to reading ever since. For the past five years when I was in high school, I've read dozens and dozens of books from World War II to Celebrity tell-all. From serious historical fiction to gulity pleasures. I like reading a little bit of everything. I'll post some of my favorites and maybe if your clueless on what to read, I'll try to help. Until then, stay safe and happy reading!!! I will continue to check out this blog!